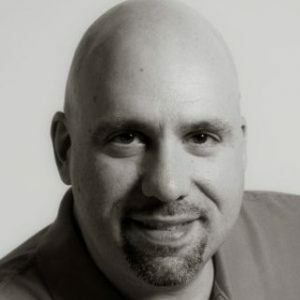 Tech Bytes with Richard K. Kahn, Founder and CEO of eZanga.com, Inc. Earlier this month, we covered the launch of Anura by eZanga.com. Anura is eZanga’s latest technology to combat fraudulent ad traffic, using real-time analysis of user behavior. 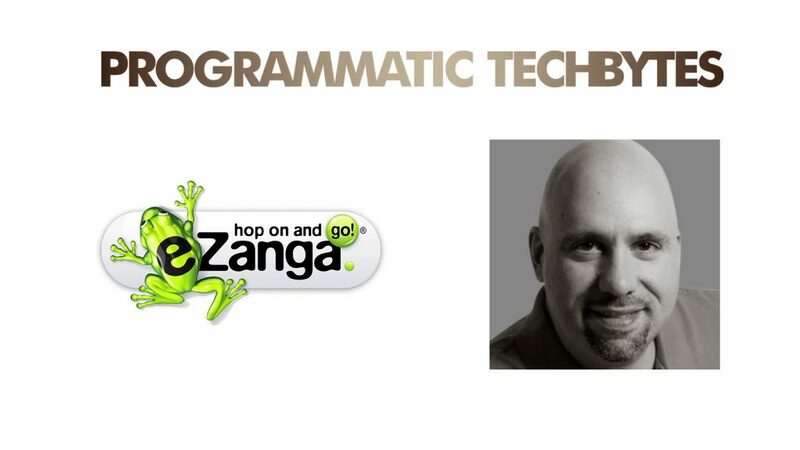 We invited Richard K. Kahn, CEO at eZanga.com, to our Programmatic Tech Bytes Series, and enlighten our readers on how Anura is set to take care of quality ad viewership and prevent malvertising/fraud traffic issues. MTS: What do you think about Programmatic technology penetrating deep into advertising formats? Richard K. Kahn (Rich): Programmatic is very useful. It’s basically a set of rules and maybe some artificial intelligence depending on the platform that helps to identify the best place to stick ads at the right time to optimize your campaign. The good in programmatic is that it does a lot of the leg lifting and the campaign can be optimized without a human having to do all the work. However, depending on the programmatic and the lack of human interaction, it’s still a piece of software being run with the intent of improving performance based on certain performance metrics. So, bad bot writers know this and they build bots that try to trick programmatic to get their advertisements higher up in pecking order so to speak. I have seen first hand where programmatic is going well and suddenly a bot learns its patterns and starts attacking it. The next thing you know, according to programmatic, the campaign is doing well but little did you know it is getting flooded with bad traffic. In order for programmatic as a bot to do its job effectively, it requires something to keep tabs on the bad traffic, like Anura. MTS: Could you tell our readers how Demand Side and Supply Side suffer differently due to fraudulent ad traffic reporting? Rich: Those who supply traffic are trying to provide good, quality traffic to their end users – it’s how they get paid. If they have problematic traffic, they are the ones that have to deal with that and take the hit. The Supply Side benefits by making sure what makes it to their clients is clean. For the Demand Side, clients spend money on the traffic and want to pay for real traffic, avoiding fraudulent activity because it hurts their ROI on their campaigns. Both have a vested interest in making sure that the traffic is clean. MTS: Tell us the purpose eZanga serves by introducing ANURA to combat fraud traffic. Rich: The core engine of Anura has been used for the past 12 years and we’ve had clients ask to use the technology for their campaign buys. At first, we didn’t think that was a good business model because we wanted clients buying our traffic. However, in the last few years, we’ve seen other solutions start to pop up that offered similar technology so we did a test of Anura against our competition. In this test, we came to find that we have a more accurate solution and decided to offer it as a SaaS solution for people buying traffic elsewhere. MTS: ANURA is powered by IBM Bluemix—How long did it take to come up with the new technology as a collaboration? Rich: The Anura technology was not a collaboration with IBM Bluemix; rather it is a tool Anura used to host a solution on. That said, we’ve had a relationship with what was previously SoftLayer, now rebranded as IBM Bluemix, for going on five years now. We previously hosted with a local Delaware company and, as they were acquired and changes were made, eZanga needed to explore other solutions. This is when we looked around and received numerous recommendations for SoftLayer. Today, IBM Bluemix knows the massive undertaking of new technologies we’ve released with Anura, and our future roadmap, and has been a phenomenal asset in the development of the correct tools and resources within IBM to scale quickly and easily. I’ve never seen a company bend over backward to help us get this product out as fast at they have. MTS: ANURA also has features (speed and scalability) coming from Oracle—Tell us more on that. Rich: In order to produce the platform that we have for data analysis and analytics for the client, it’s a massive database undertaking. To have the data available in real-time, we researched several different database solutions. Oracle has a solution that made the most sense for us and they’re one of the biggest, if not the biggest, database solutions in the industry. Using Oracle allows Anura to scale rapidly all while handling the complexity of our data. MTS: Mobile advertising is the new frontier for advertisers? How does ANURA help customers identify “good” traffic from “bad” traffic? Rich: In our opinion with Anura, it doesn’t really matter if they are coming from mobile or from the desktop. We’re finding roughly that 60% of users are now accessing the internet from a mobile device, and mobile advertising is a bit more tricky to identify real versus bad users. Many mobiles devices used to report Device ID and, once that was removed from devices, it became much harder to determine the real users from the fake ones. With Anura, we spent months looking at it every which way to ensure we’re seeing what should be happening with a user versus what shouldn’t. Rich: Everyone is going to be different. The more traffic you have, the faster you will start to see patterns. For instance, with Anura, you can isolate down to which browsers are causing issues, what networks are sending traffic and what websites are you buying traffic from. If you have a lot of traffic, you are getting that data in real-time and you should be able to make identifications fairly quick. For example, say you are buying traffic from several websites and one tends to have more bad traffic than others. You’ll know to contact your traffic provider to knock out that source sooner, and once that optimization is made, it gets cleaned up faster. It’s important to note that fraud is constantly changing so this isn’t a set-and-forget action; it needs to be ongoing and consistently monitored. MTS: How consumers – Baby Boomers, Gen Z and Millennials react differently to various ad formats? How does ANURA help in targeting these demographic segments? Rich: Anura doesn’t do anything in targeting demographic segments per say. We don’t care if the person landing on a landing page or viewing an ad is a Baby Boomer, Gen Z, or Millennial, so long as they are real. That’s what Anura is able to do. It can recognize the difference between a real user and a fake user, meaning a bot or human click fraud. Anura is designed to identify the real people so marketing efforts aren’t wasted by being directed to fake people. MTS: Google and comScore just announced a partnership to provide brand-safe ad ecosystem. How do you see the brand safety ecosystem and technology market building up its stance against ad fraud/ fraud traffic analytics? Rich: Fraud and brand safety are two separate things. They cover the same topic in terms of watching your traffic and keeping tabs on your marketing budget, but they are two completely separate ideologies. “Brand safe” means the site that the ad is being displayed on is somewhere the company is okay with it being. What is considered “brand safe” is also different for every company – some companies are okay with a little more edgier content whereas others play it a bit more safe. Fraud, on the other hand, can stem from any type of brand safe site because every website can contain fraud and no one site is immune to it. Fraudulent traffic uses brand-safe websites to build user profiles within their software so that they appear to be real and look like they are coming from brand safe locations. MTS: Finally, is ANURA accessible via an app and gives ad fraud analytics on Mobile-First campaigns? Rich: Anura is not available via an app, however, it is built on Google Angular and is responsive. The interface is heavily designed, but very lightweight which allows it to be agile, working well with either mobile device or desktop while giving full details on fraud affecting traffic for any type of campaign, including mobile-first. MTS: What do you think about our programmatic Tech Bytes? Would you be interested in participating in our exclusive Interview Series? Rich: I love that you guys are featuring different companies in your programmatic Tech Bytes and think it does have value to the reader. I would be interested in the interview series.